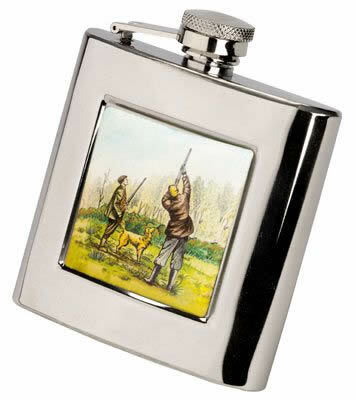 A superb gift idea! 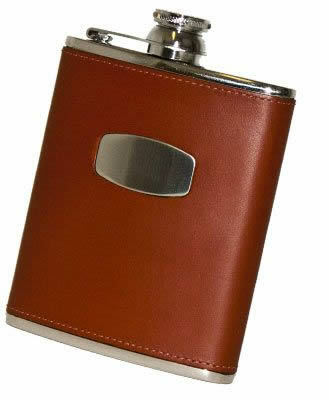 A range of flasks & drink accessories manufacturered to High standards. 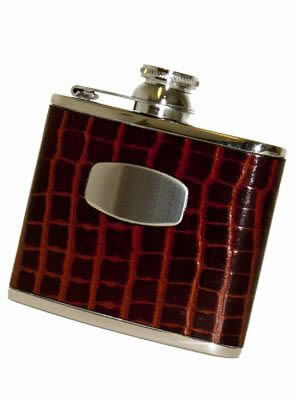 6oz stainless steel hip flask with Brown leather cover. 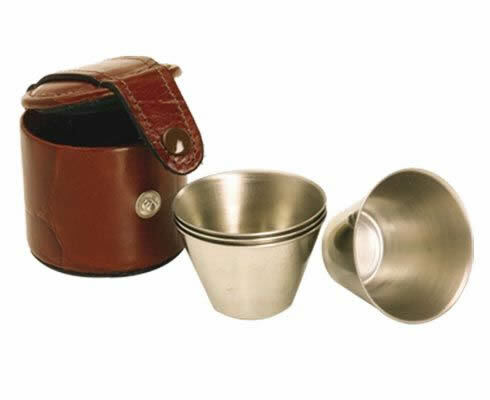 In presentation box with funnel. 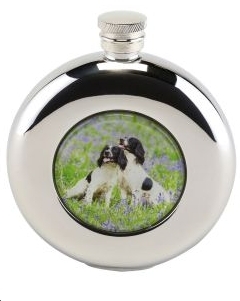 Made in the UK and carefully selected for quality. 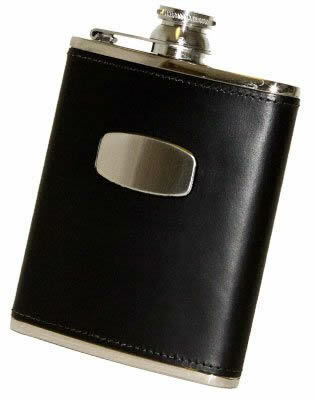 Stainless steel classic hip flask with black leather cover. 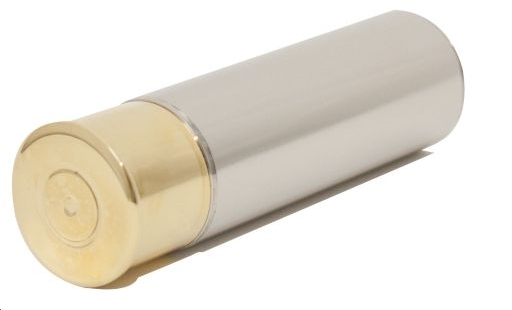 Captive top to prevent loss. Packaged in plain box. 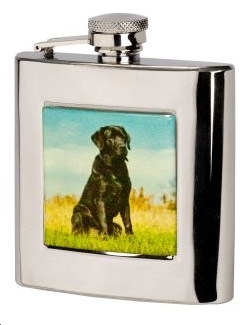 Panel to front to allow engraving. 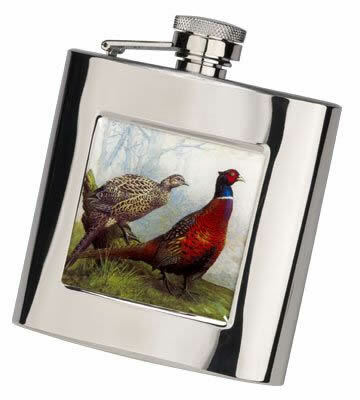 Made in the UK and carefully selected for quality. 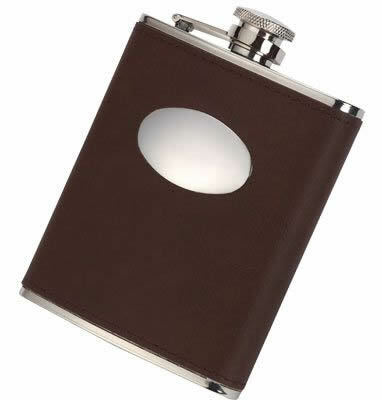 Stainless steel classic hip flask with Brown leather cover. 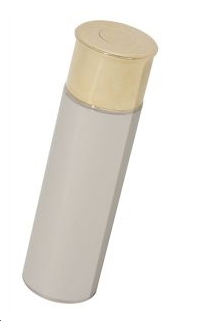 Captive top to prevent loss. Packaged in plain box. 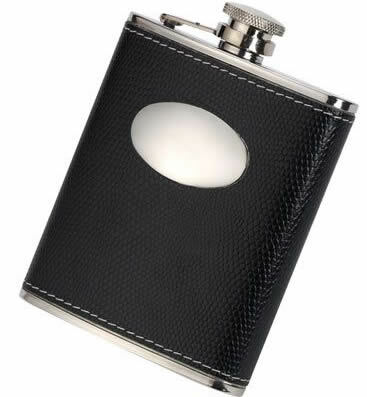 Made in the UK and carefully selected for quality. 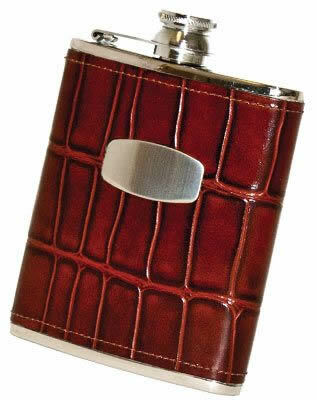 Stainless steel classic hip flask with Brown croc style leather cover. 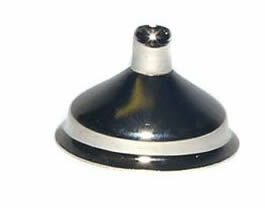 Captive top to prevent loss. Packaged in plain box. 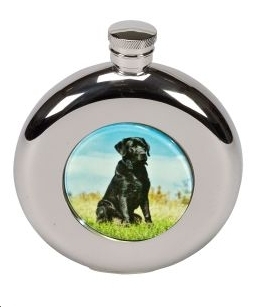 Made in the UK and carefully selected for quality. 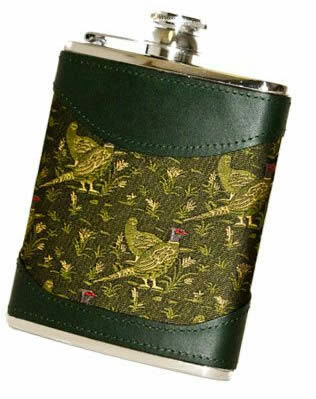 Stainless steel classic hip flask with fabric pheasant design cover and leather trim. Captive top to prevent loss. Packaged in plain box. 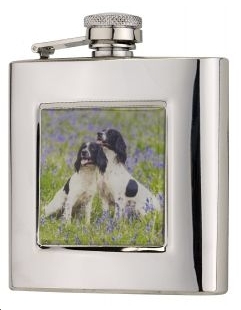 Manufactured from Stainless Steel in the UK to the highest quality. 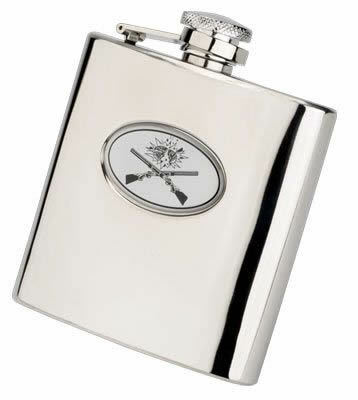 Crossed guns image design to the front. 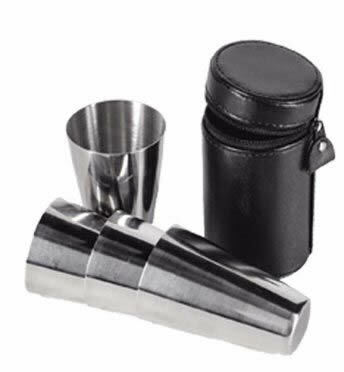 Packaged in gift box complete with funnel. 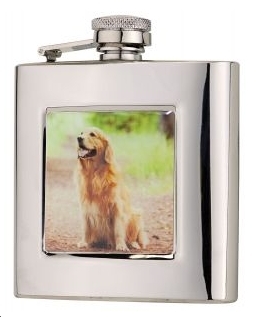 Manufactured from Stainless Steel in the UK to the highest quality. 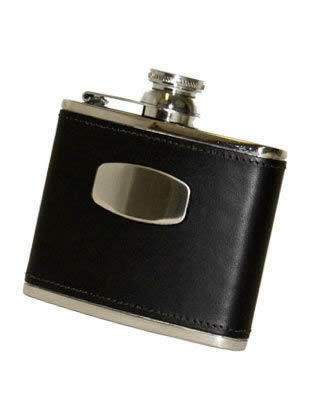 Flat base to allow flask to stand upright. 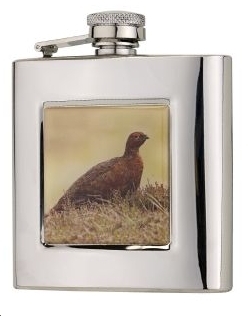 Pheasant image design to the front. Packaged in plain box. 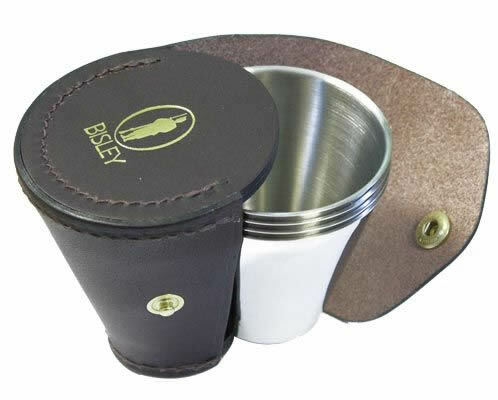 Manufactured from Stainless Steel in the UK to the highest quality. 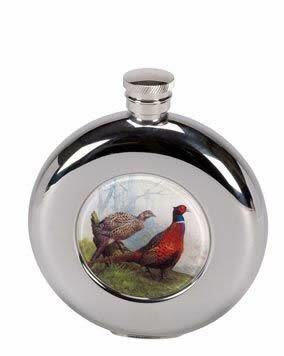 Pheasants image design to the front. 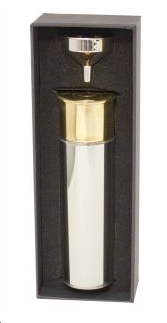 Packaged in gift box complete with funnel. Captive top. 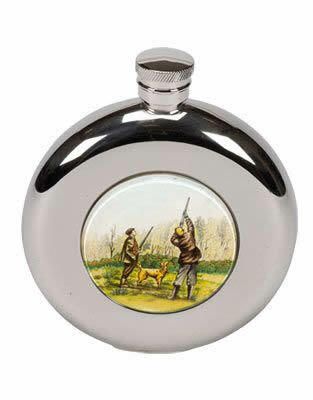 Stainless steel with square shooting motif. 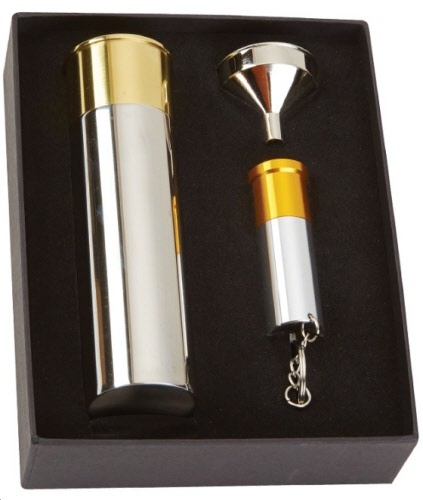 In presentation box with funnel. 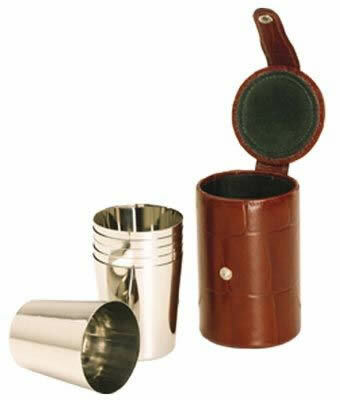 Each set consists of 8oz flask and four 1oz cups that fasten over the lid of the flask via popper fasteners.